What Does Drooling Mean in a Toddler? Drooling is the unintentional escape of saliva or other substances from the mouth. Drooling can be a messy business for parents with lots of laundry on the horizon. Your child drooled as a baby and continues as a toddler, past the point at which you though he would stop. Although in most cases, toddler drooling is normal, watch your child's behavior to determine if you have cause for concern. 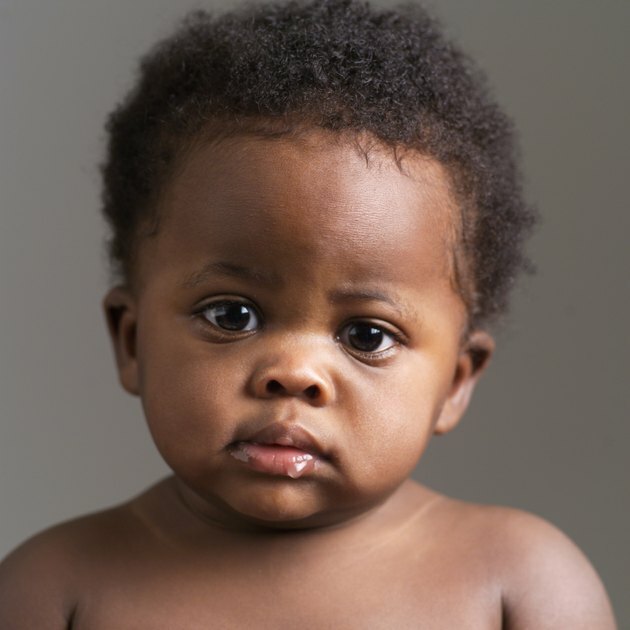 Babies often drool profusely during periods of teething in response to the irritation of their gums, according to dentist Robin Onikul of Children's Mercy Hospital. Most parents are not concerned with this phenomenon and accept it as a fact of life. Your toddler could be drooling for the same reason. The 2-year molars are the last baby teeth to erupt at the back of your child's mouth. Two-year molars generally begin to come in between your toddler's second and third birthdays. Drooling that has not stopped by age 3 should be checked out by a doctor. Drooling occurs when you do not swallow your saliva. The swallowing mechanism, or ability to swallow well and often, may be underdeveloped in your toddler. Depending on your child's age, the ability to swallow may be on a normal development path, or he might be delayed due to premature birth. If your child is drooling after the age of 3 and also shows signs of delays in language or gross motor skills, speak to your doctor about testing for neurological damage or delays, suggests speech-language pathologist Rose Godfrey. In rare cases, your child's impaired nervous system may interfere with muscle control in the mouth and face, which can lead to excessive drooling. Drooling in a toddler that is occasional may mean that she is sick. Illnesses such as tonsillitis, strep throat or mononucleosis are painful and may cause your child to drool simply because her throat hurts when she swallows. Abscesses in the mouth or throat and fevers can also lead to drooling in some children. Take your toddler to the pediatrician for an examination if she suddenly begins to drool and shows other signs of not feeling well. Solutions for drooling that does not indicate illness or disability are mainly geared toward managing the condition. Keep your toddler dry with bibs and changes of clothing. Limit face washing to avoid irritating the facial skin, and treat chapping or a rash with a thin coating of petroleum jelly on your child's chin. Encourage your child to learn to swallow by offering small amounts of water frequently throughout the day. As he learns to swallow more effectively, the drooling will recede.